Sorry it took me so long to get this info out! But many thanks to those that entered our first ever Wildlife Conservation Challenge. The Challenge was designed to encourage and reward people for doing good things for wildlife. You can read more about the contest here. Winners were selected at random from all entrants and then sorted by the number of entries they had completed during the year. If there were ties in number of entries, then I sorted by who got randomly drawn first. Thanks to all who entered and helped wildlife! If the winners would please contact me, then I can get your prizes to you. 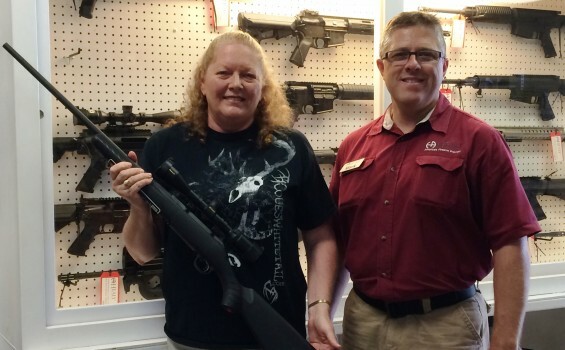 Kathi Nixon already picked up the Rifle that her husband won….do you think she will even let him see it? LOL!